Brownwood/Early is located 27.8 miles from the perfect geographical center of Texas and known as the Northern Gateway to the Texas Hill Country. We are served by US Highways 67, 84, 183 & 377. With a variety of recreational activities, award-winning schools, superior economic opportunities and a comfortable climate year-round, the Brownwood/ Early area is a wonderful place to live. Our area is located just north of the geographical center of Texas. 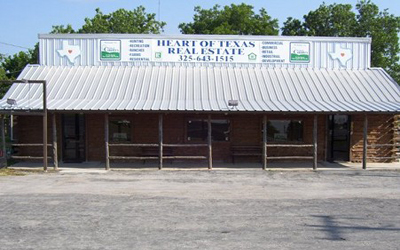 You're invited to contact United Country Heart Of Texas Real Estate, in Brownwood/Early Texas. We can save you time and money in locating Central Texas real estate for sale. We offer a fine selection of homes for sale, farms and ranches, riverfront property, recreational land and businesses for sale.